Energy gels offer a concentrated source of energy, making it easier to replace lost energy stores whilst training and racing. Most energy gels are based on maltodextrin which directly provide glucose to your blood stream and provide an easily absorbable form of carbohydrate. 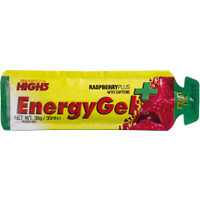 Energy gels are effectively concentrated energy drinks. Therefore they need to be used diluted with some plain water. (The body needs water to digest carbohydrate). Otherwise, you may find yourself becoming dehydrated. Exceptions are Isotonic gels that are less concentrated but also provide less energy. How many gels to take? For periods of exercise under an hour it is unlikely you will need extra carbohydrate, your body’s stores will be sufficient. 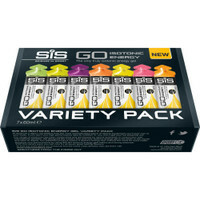 Taking gels during longer training sessions will help to maintain your energy and performance. It is always best to check the manufacturer's recommended suggestions. As a rough guide you can take on 1 gram of carbohydrate per Kg of bodyweight per hour. A 70Kg runner can absorb 70 grams of carbohydrate in an hour. One or two energy gels every hour of training / racing can be an effective way of meeting your carbohydrate needs. It depends if you are also taking on energy drinks. If you get 40grams of carbohydrate from a 500ml energy drink, one additional energy gel of 25 grams will take you up to the 70g target. Most races provide water, so it is safer to rely on your own gels rather than hope what’s offered at a race suits your needs. Note there is a limit to how much carbohydrate the body can absorb – if you take too many gels, you won't be able to absorb the energy but just have a stomach full of energy gel (which isn't so nice). Do not exceed 2 per hour. If your stomach tends to shut down in the later stages of a long race, try to take on gels before that happens, so you have some stores to pull on. Once your stomach starts to recoil from gels, try taking a quarter of the gel every 15 minutes, rather than pushing it down all at once. This way you still get some energy benefit without your stomach being overloaded. 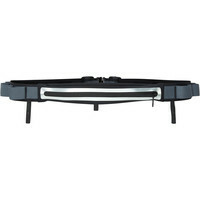 You will need a waist pouch or small carrier to store the gels, and use when needed. The more you follow an energy gel nutrition plan during your training, the better it will go on race day. Not only will you aid recovery times by using gels on your training runs but your stomach will get used to the pattern of absorption. 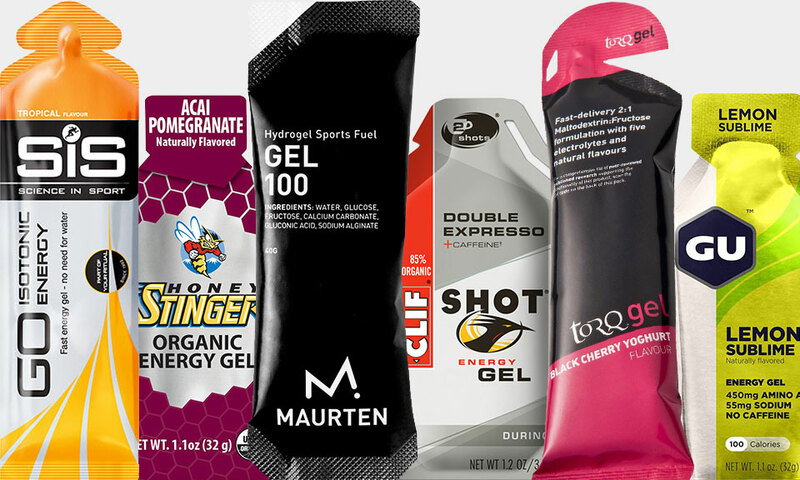 Ideally consume gels at the same time periods in training and racing. Energy gels should be taken just before or during exercise. 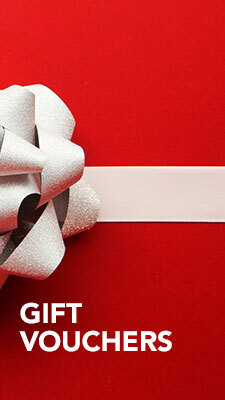 They work by immediately raising your blood sugar level. If you are not exercising, the body will release insulin and convert into long term stores (glycogen) actually leading to lower blood sugar levels. 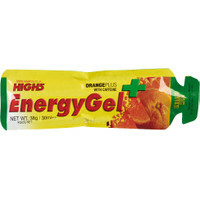 Thus if you take energy gels 1 or 2 hours before a race, you can be left feeling tired at the start of the race. However, once you are running, the body will be using all the glucose released. I advise not taking energy gels more than 10 minutes before start of race / warm up. Isotonic means that they have already been mixed to the correct water / electrolyte balance. Therefore, you don't need to take extra water. These are excellent if you're worried about getting the right electrolyte / water concentration. 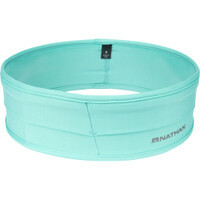 They will provide energy and also help provide optimal hydration. The drawback is that they offer less carbohydrate, so you may wish to take them more regularly than pure energy gels. 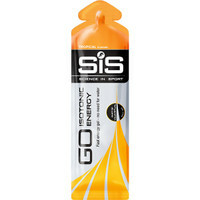 Some runners will save carrying both gels and water by only taking Isotonic gels. However, they contain enough water to process absorption of the gel; they do not top up your hydration levels. For that you need to drink a sports drink or water. Studies have suggested that a combination of glucose and fructose in a 2:1 ratio can lead to a higher uptake of carbohydrate than just relying on glucose. Glucose has a very high GI index (increases blood sugar immediately) Fructose has a lower GI index and raises your blood sugar levels more gradually. Therefore, this combination can be good for long distance running who are struggling to take on enough carbohydrate during a race. 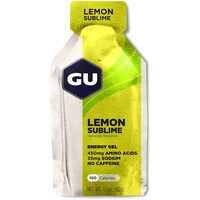 Some energy gels also include caffeine – a legal stimulant. Studies suggest that ingesting caffeine can boost your performance, though it can vary between individuals. 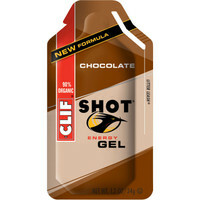 In long distance races, some runners like to take a caffeine energy gel towards the end of the race when they are becoming tired. Some studies have suggested caffeine is less effective in hot weather because it can lead to dehydration. Caffeine also acts as a diuretic making you need a toilet break in a race – another reason to save for later in the race. 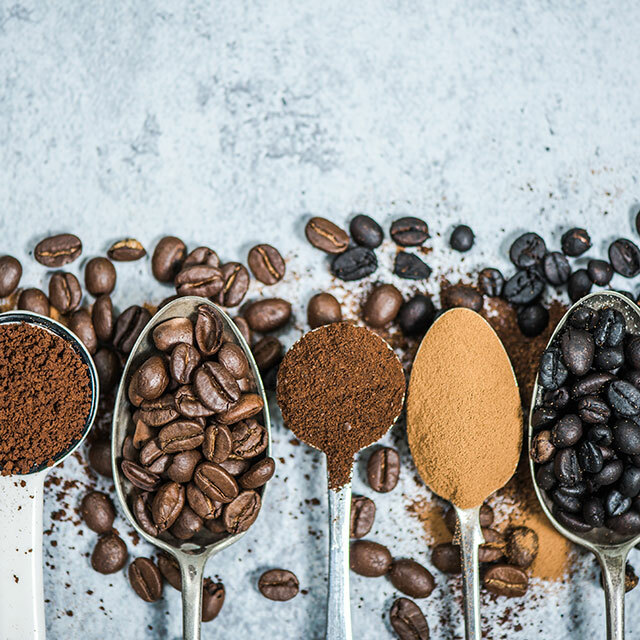 Whether you want to use caffeine will come down to personal preference whether you want to benefit from this everyday stimulant. Generally speaking, the more you consume caffeine in your daily life, the less you’ll notice a difference. If you don’t consume much caffeine as a rule, you’re more likely to feel the effects of one of these gels. 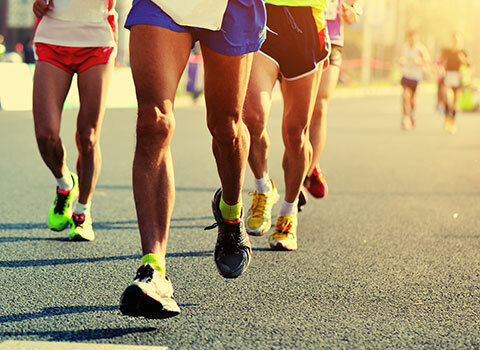 Sometimes runners take energy gels and concentrated energy drinks at the same time. This means they are consuming too much concentrated energy solution and it can leave you feeling sick and dehydrated – especially in hot conditions. Test before a big race. Energy gels can be a little sweet and you may find that your stomach rebels from consuming large quantities. In training you should be testing your stomach's tolerance to different makes of energy gels. Then when the big race comes, you won't be trying something completely new that your stomach may not like. Different brands use the same basic ingredients – maltodextrin, fructose, electrolytes (salts) – and then add their own touches. All the brands we carry are of a high quality – no cheap and fast carbs that are little better than a mars bar! Mostly it comes down to personal preference and what your stomach likes. Hello, thank you for this article. If I am not mistaken, some gels can then be 2:1 AND isotonic? Once you've found a gel that works for you – gives you the energy you need and your stomach is happy with – then there's no reason to change. Though you can always experiment with new ones on training runs well away from a race, see if there's something out there that works even better for you. I'll often use a combination of an isotonic gel (H5 Iso Gel) and a higher energy gel (Torq or Honeystinger) as I can't always get enough of the energy gels down me and the Isotonic ones work well especially as I easily get dehydrated. It's such a personal thing, you just have to experiment till you find the right fit. 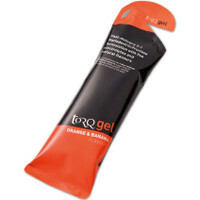 Torq don't give specific advice on how much water to consume with their gels. The mix of carbs in the 2:1 ratio plus key salts – sodium, potassium, etc. – provide a good balance that should digest quickly but I'd still recommend at least a mouthful of water to ensure your stomach doesn't have to pull in water to aid digestion. I don't suppose there's a reason a 2:1 gel can't be isotonic, it's a question of dilution, but I'm not aware of any at present. 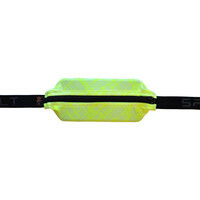 Looking for advice on energy gels for my 13 year old son. Gets really fatigued playing 90min football matches. Usually we wouldn't advise gels for children as the sugar content is on the high side, also if a child is getting fatigued during sports it's an indication that they are over-extending themselves and need to pull back a bit. I would advise having a word with the coach but also look at what else fatigues him. If the other kids are also getting tired then there's probably less to be concerned about and a snack at half time should do the trick. Of all the gels, the Torq are the ones I'd suggest as they taste pretty nice and the ingredients are good, but I reckon he'd prefer the taste of the Lucho Dillitos Guava Paste which is full of natural goodness. If he can manage a banana or maybe some dried fruit at half time then that would be perfect.